We hope you had a Merry Christmas and we wish you a blessed New Year! 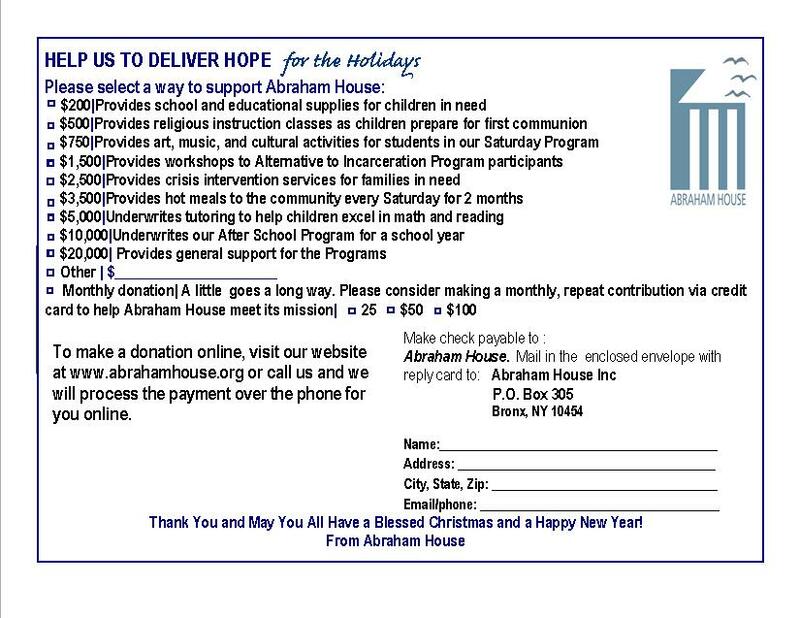 Please click on our Annual Newsletter and donation card to view the many ways you can support Abraham House in the holidays and also throughout the year. We would not be able to help as many individuals as we do without you. Thank you for supporting Abraham House.